HST input credit for a start up business in B.C. I am in the process of setting up a new business. I am incurring expenses, but do not have any HST payables because there is no revenue stream yet. I am on quarterly reporting. It may take up to two or three reporting periods before a revenue stream will generate HST payables. Can I claim my input credits during this period? Some of the input credits may be substantial as I pay for leasehold and capital expenses? You may want to consider registering voluntarily for GST/HST so you can claim your HST input tax credits on your start up costs. As you can only recover ITCs from the time you register, make sure you read the tip on capital assets. Thank you for posting my inquiry. My questions was if I could claim HST paid on start up cost before generating any HST payables if I am registered (which I am), and if so, is there a time line that you can do this for? For example:if it takes me 6 month to open the business(and generate HST payables), can I use the ITC credits before the opening date of the business? Some of these may be substantial: purchase of capital assets, leasehold etc. As you are registered, claim your ITCs when you file your first GST/HST return and subsequent GST/HST returns. You do not wait to start collecting revenue to file your report. CRA assigns you a reporting and you must be compliant with it. There are no late filing penalties if your balance owing is $0 or a refund. You have up to four years to claim missed ITCs. For tax purposes, I came across this publication at CRA IT-364 Commencement of Business Operations. It is dealing with income tax not sales tax. This information will be useful when preparing your tax return. 6. Expenses in respect of a proposed business that are incurred prior to the commencement of the business do not constitute a business loss or a non-capital loss and thus cannot be applied against income in the year the expenses were incurred, and cannot be carried back to be applied against income of the preceding year or forward to be applied against income of any subsequent year. If capital assets are acquired for a business before the business commenced, are later used in the business and are not used for some other purpose in the meantime, the capital cost of the assets is the amount that it would have been had the business been operating when the assets were acquired. If the business for which the capital assets were acquired never commences, the normal rules in the Act regarding capital gains and capital losses would apply if and when the assets were subsequently disposed of." How do I enter an invoice dated May, which I paid for personally, for business cards ... when the business was not registered until June. "Q . When does a business start? Can you deduct the costs you incur before and during the start of a business? A . We look at each case on its own merits. Generally, we consider your business to have started when you begin some significant activity that is a regular part of the business or that is necessary to get the business going. For example, suppose you decide to start a merchandising business and you buy enough goods for resale to start the business. At this point, we would consider the business to have started. Usually you can deduct the expenses you incur for the business from that date. 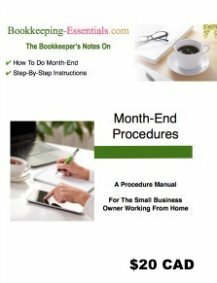 You could still deduct the expenses even if, despite all your efforts, the business ended. On the other hand, assume you review several different business prospects in the hope of going into a business of some kind. In this case, we would not consider your business to have started, and you could not deduct any of the costs you incur." Thanks for the reference... I guess I was asking a QuickBooks question. I don't know if I post this expense as a bill to Visa dated in May and then pay it from my owner equity account? I want to create a credit card account so that I can have detail in my posting for money that I spend and or take. I also don't know if some early purchases were made by me out of pocket or by me using receivables (cash). Does it matter if I just post all cash transactions to a cash account?Thanks. I guess I was trying to say you have to know the rules before you post. 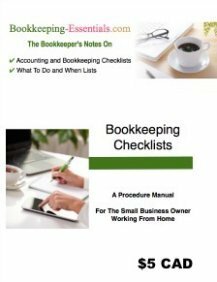 If you read the CRA criteria for what startup costs are eligible and you MEET the criteria, then submit an expense report for your first official date of business for all the expenses you paid with your personal funds and want to be reimbursed for. Take the time to read my chat on "Creating An Audit Trail" where I talk about how to pay yourself (i.e. 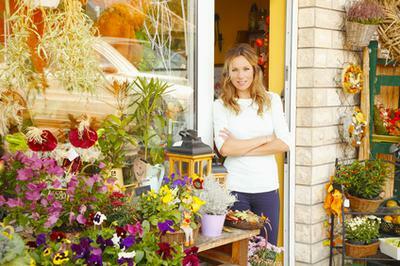 withdraw funds from your business if you are a sole proprietor). Take the time to do things right from the start so as not to create a nightmare for yourself down the road. When you present a source document as back up for a purchase, it should indicate how you paid for that transaction.